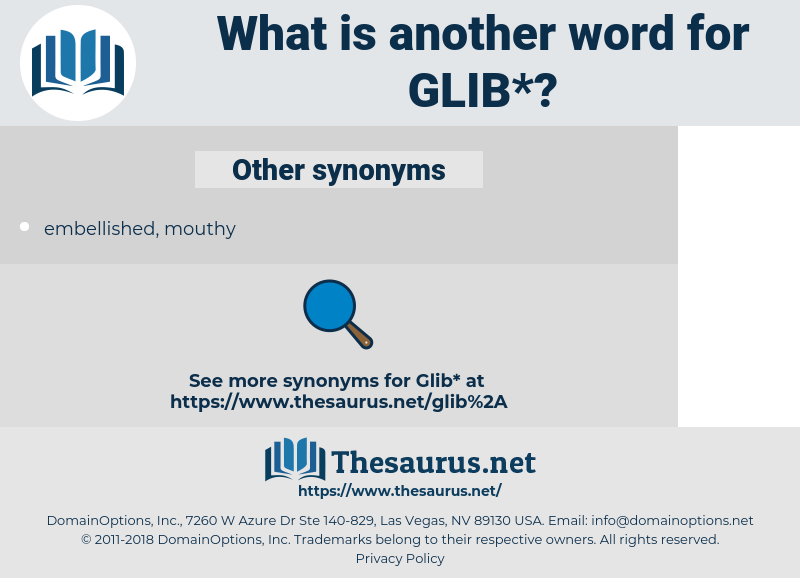 What is another word for glib? 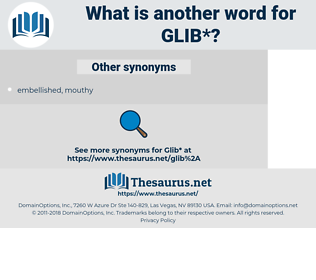 artfully persuasive in speech; " a glib tongue"; " a smooth- tongued hypocrite"
silent, stuttering, quiet, uncommunicative, tongue-tied, inarticulate. She knew Gerald for a glib liar to others, but she was naively surprised when he practised upon herself. Her cavalier dealings with the situation, the glib way she spoke of divorce, the insult she flung at the respectable form of Huxtable, Vidler and Huxtable by suggesting that Arthur should consult " a really good lawyer in London," all showed how far she had travelled from the ways of Walland Marsh.